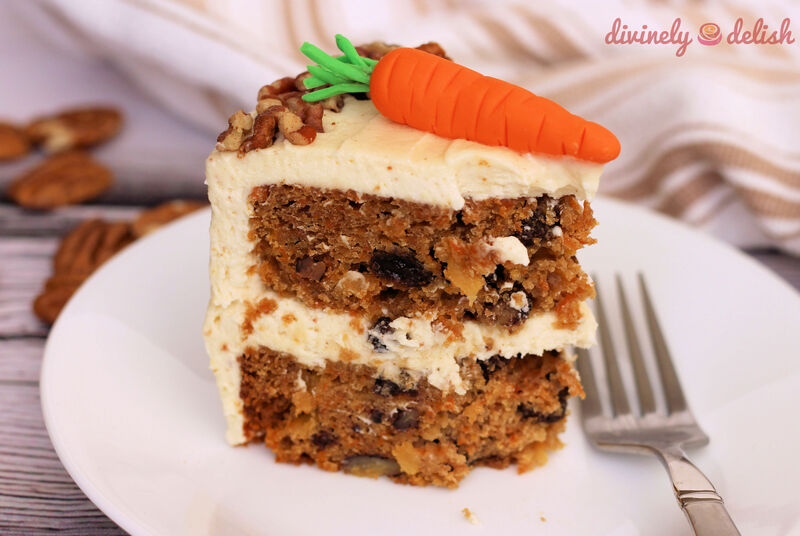 I was organizing my kitchen cabinets recently, and came across a can of pineapple pieces that I’d bought a few months ago, for the sole purpose of making carrot cake (yup, you read that right – pineapple in carrot cake!). I’d totally forgotten about it. The problem is, there are so many dishes that I want to cook or desserts that I want to make, that I often get sidetracked . Sometimes months, or even years will go by, before I make something again, no matter how delicious it was! 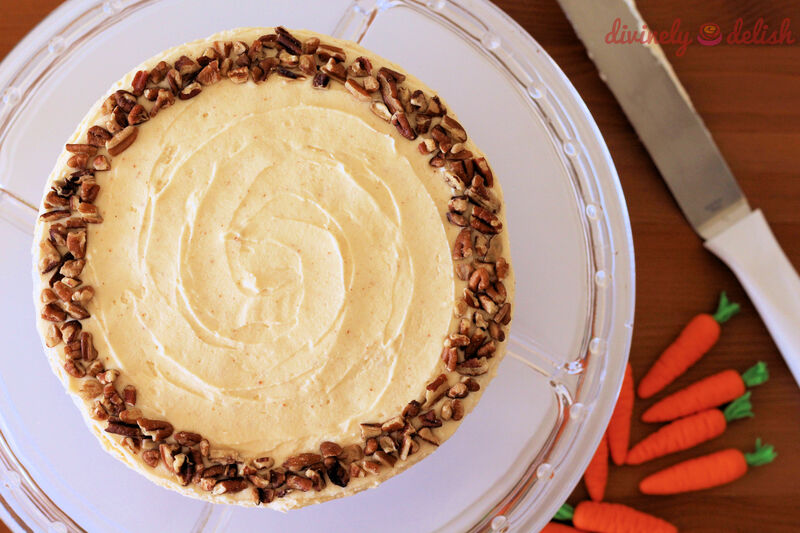 This time though, I needed to make space in my kitchen, so it really was time to make carrot cake again. 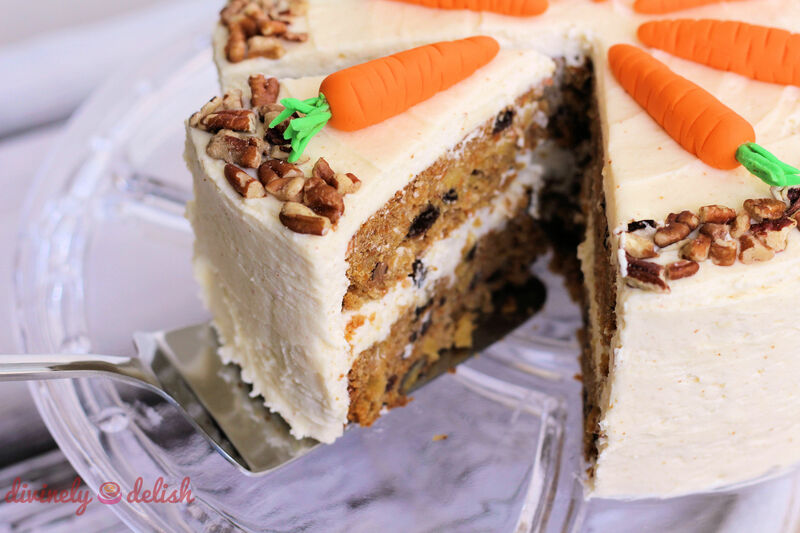 The addition of crushed pineapple makes a super moist cake! Unfortunately, I can’t take credit for this idea. 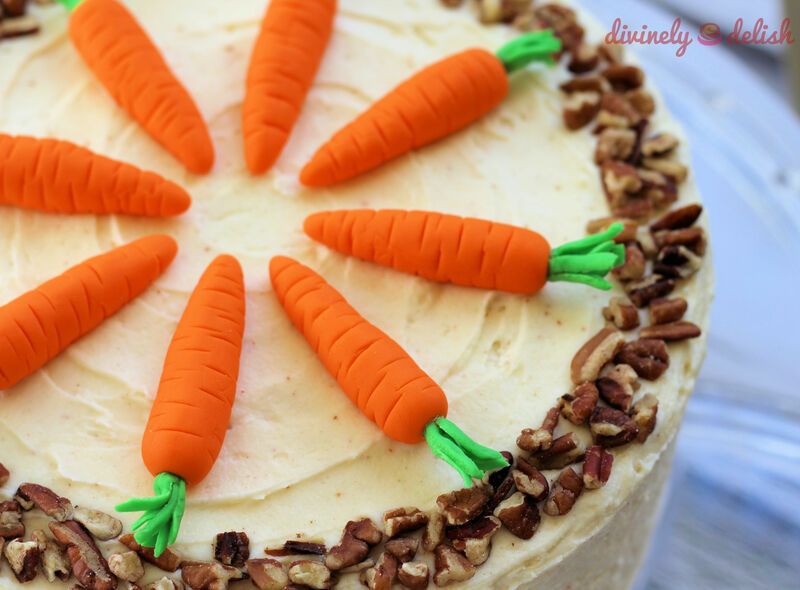 However, I don’t even remember where I got the inspiration for this recipe, but I do remember I first made it about 10 years ago, for someone who wanted a carrot cake birthday cake, and it was a hit! I had previously iced the cake with a simple cream cheese frosting. It was good, but this time I wanted something a little different. 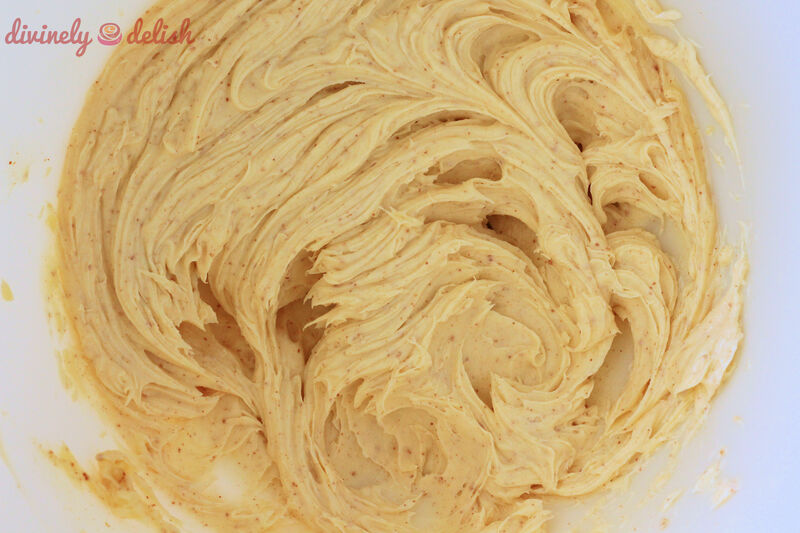 If you’ve read some of my previous posts, you’ll know that I adore buttercream! I wanted something thicker and closer to a buttercream, but still with the cream cheese. So I added butter…a lot more butter. And to give another dimension of flavour, I decided to brown half the butter, by first heating it, which caramelizes the milk solids and adds a lovely nuttiness to the final frosting. It’s an extra step but believe me, it’s so worth it! I’ve always preferred a less sweet buttercream, where the taste of the butter really comes through, so I used a lot less icing sugar than other similar recipes. 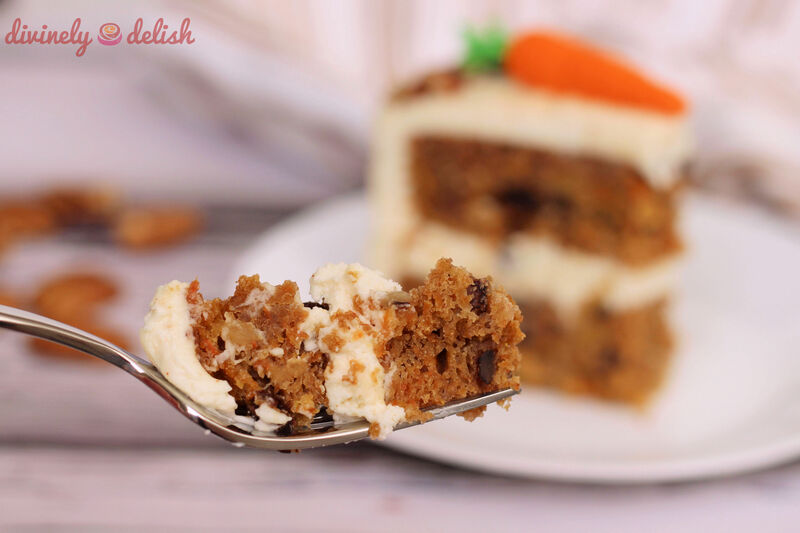 The result was a deliciously thick and creamy frosting that wasn’t cloyingly sweet and takes the cake to a whole other level! I’d also always used a neutral-flavoured vegetable oil previously, but I wanted to try it with coconut oil this time, to make it healthier. 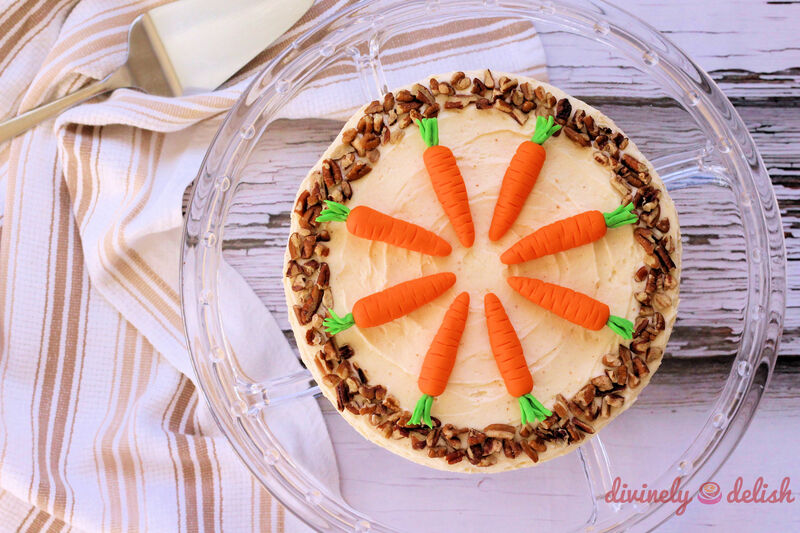 There are many versions of carrot cake with shredded coconut added to the batter, so I figured a coconut-y carrot cake wouldn’t be so bad. Surprisingly though, you can’t even taste the coconut! 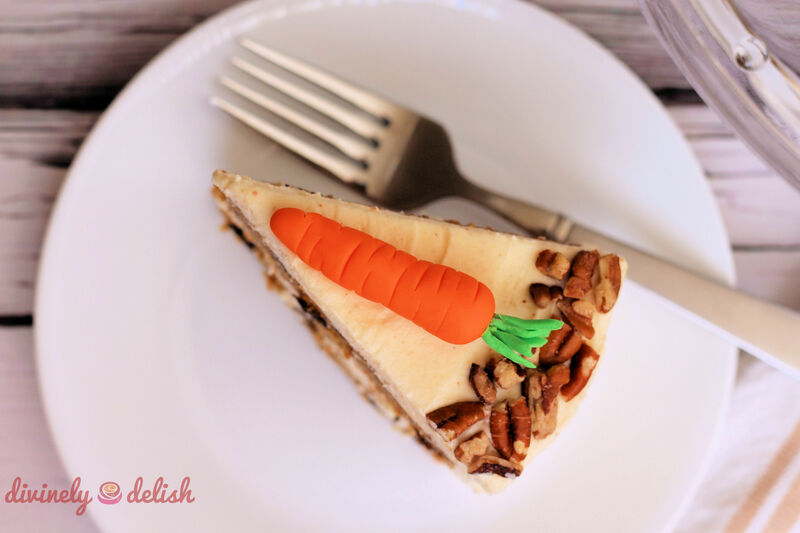 Carrots, pineapple, pecans and raisins….there’s so much goodness packed into each bite! 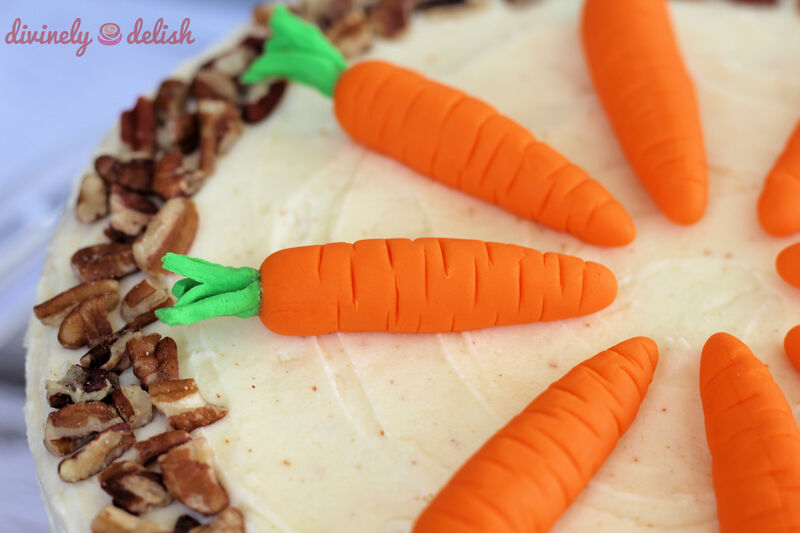 This is truly the ultimate carrot cake! 1) Preheat oven to 350 F (180 C). 2) Grease and flour two 7-inch (18 cm) round cake pans and set aside. 3) In a large bowl, whisk together flour, baking powder, cinnamon, baking soda, salt and nutmeg. Set aside. 4) In another bowl, beat together granulated and brown sugars, eggs, oil and vanilla until smooth. Pour over the flour mixture and stir until just moistened. 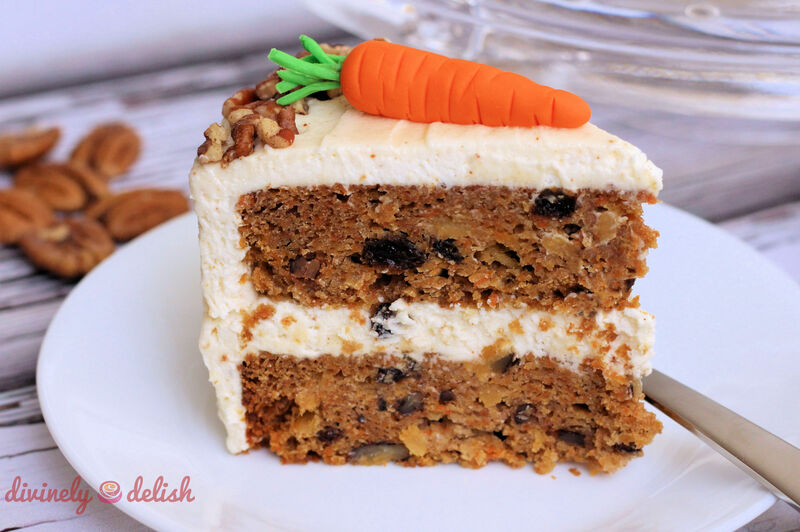 5) Stir in carrots, pineapple, pecans and raisins. Pour batter evenly between the prepared pans. Smooth the tops with a rubber spatula. 6) Bake in centre of oven for 40 to 50 minutes, or until toothpick inserted into the centre comes out clean. 7) Cool in pans for 10 minutes. Then run a knife around the edges of the cakes to loosen and turn over onto wire rack to cool completely. 1) In a small heavy-bottomed (and preferably light-coloured) pot, heat the 1/2 cup of unsalted butter over low heat, stirring occasionally. Once the melted butter starts to foam, keep an eye on it and stir continuously as the milk solids at the bottom will start to change colour. When you see brown specks (it takes about 8 minutes), turn off the heat. 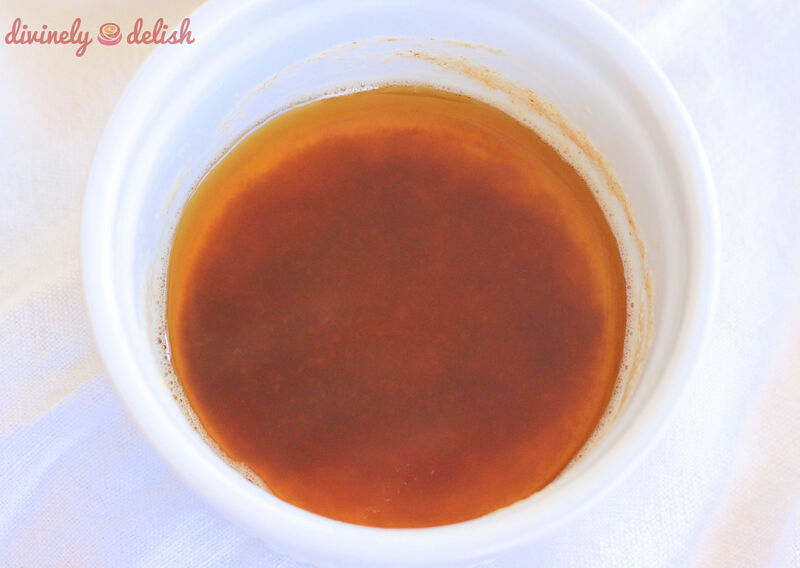 Pour the melted butter into a small heatproof dish, cool a bit, and then place in the fridge to completely cool (take it out when the butter is firm but still a spreadable consistency; you don’t want it to get too hard). 2) In a large bowl, beat the browned butter until smooth, then add in the other 1/2 cup of butter and beat on high speed until combined. 3) Add in cream cheese and beat on high speed until light and creamy. 4) Beat in vanilla and salt. 5) Add in icing sugar, a half cup at a time and continue beating to mix well. 6) Add in the cream. Beat on high speed for 3 to 5 more minutes to ensure a smooth, creamy consistency. 1) Using a knife or a cake leveller, trim the domed tops of the cakes so that you have a flat, even surface (you also want to make sure that both cakes are the same height). 2) Place one of the cakes on a cake board or serving plate. 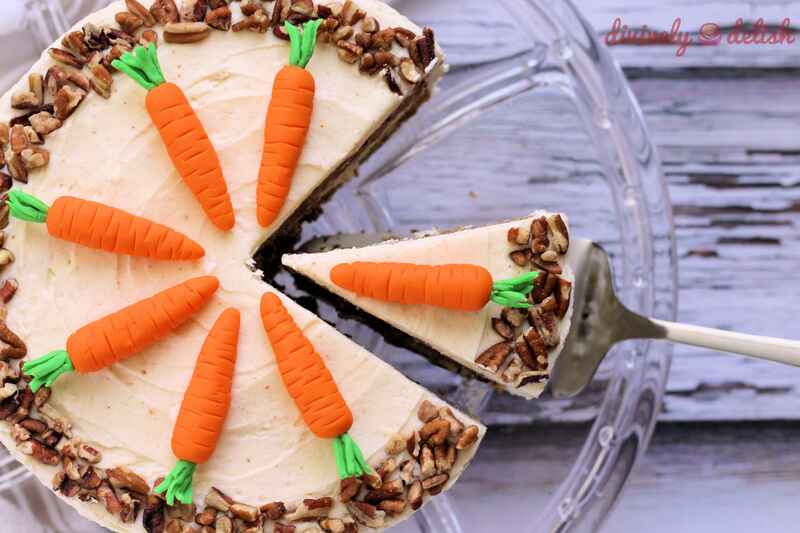 Spread some frosting on top, then take the other cake, turn it upside down, and place it on top (the bottom of a cake has a smoother surface, so by turning it upside down, you don’t have to worry about a bumpy surface or loose crumbs when you are frosting). 3) Frost the top and sides of the cake with the remaining buttercream. Decorate as desired. 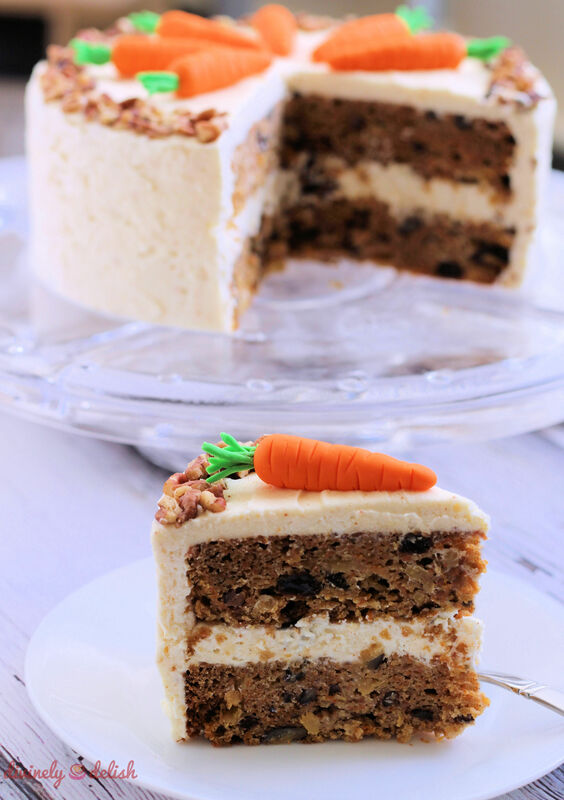 To save time, you can make the cake one or two days in advance, cover with plastic wrap and store in the fridge. 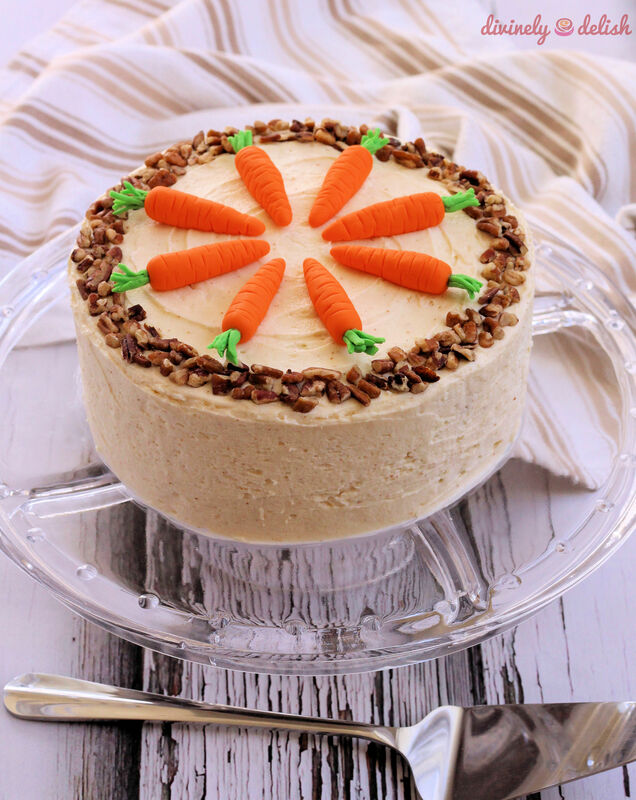 The frosting recipe makes enough to fill a 7″ (18 cm) or 8″ (20 cm) two layer cake, and cover the top and sides.